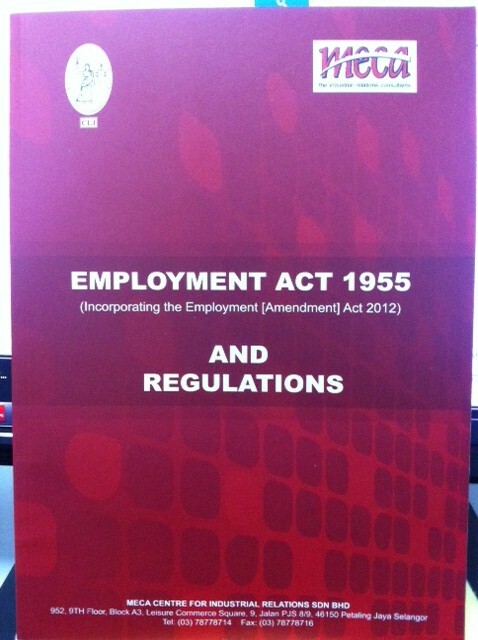 Been looking our for an Employment Act that incorporates the latest amendments? I’ve been on a lookout for that myself but my company, MECA has taken it one step further by manually incorporating it and through the assistance of the Current Law Journal (CLJ), we’ve managed to print some copies of the Act. If you want to place an order, please contact me.